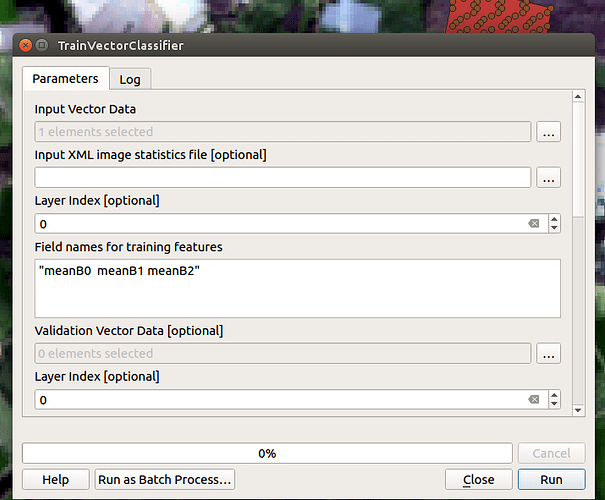 I am trying to use the TrainVectorClassifier tool in OTB toolbox using QGIS, to train my classifier, before applying the classifier to a complete segmentation of the image. (FATAL): itk::ERROR: ListViewParameter(0000023D23F80210): Value meanB0, meanB1, meanB2 not found in the list of choices: label, nbPixels, meanB0, meanB1, meanB2, meanB3, meanB4, meanB5, meanB6, meanB7, meanB8, varB0, varB1, varB2, varB3, varB4, varB5, varB6, varB7, varB8, CLASS. I am not sure what the correct format is when typing the list of fieldnames? 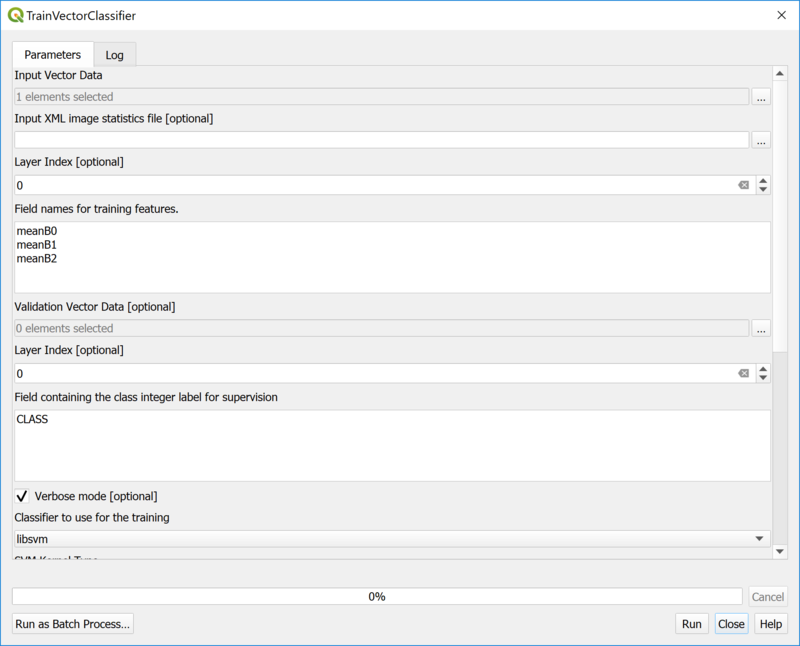 To use quotes for strings, or returns like a list format? When I try to add more field names, in any format, the tool fails. Please could someone advise if this issue is known, or how to fix it? I have Googled the error and found a few reports of the same error, but could not find the solution. For me it works when I put quotes around the list : “meanB0 meanB1 meanB2”.